This page shows the latest Eli Lilly news and features for those working in and with pharma, biotech and healthcare. Boehringer adds to an impressive list of big pharma partners for PureTech, joining the likes of Amgen, Johnson &Johnson, Eli Lilly, Pfizer and Roche. Meanwhile Sanofi and Lexicon's Zynquista and Eli Lilly and Boehringer Ingeheim's market leader Jardiance are also both in renal outcomes trials, with their respective results expected by 2022. Approximately 78 fully matching, plus 547 partially matching documents found. 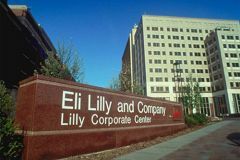 Developed in partnership with Eli Lilly, it has already presented positive phase 3 results, with more expected in the first half of 2019, with filings expected shortly afterwards. Pfizer ultimately lost. Patent expiries also led to large declines in CNS sales at Teva (-17%) and Eli Lilly (-27.5%). Approximately 3 fully matching, plus 28 partially matching documents found. Her career has also seen her work for Eli Lilly leading cross-functional development teams bringing new medicines to market. During his career, Dr Saunders has held several roles for both pharma and biotech companies, including Genzyme - now part of Sanofi, Roche, and Eli Lilly. Approximately 5 fully matching, plus 29 partially matching documents found. and Eli Lilly took a ‘commercial R&D’ approach to digital, characterised by ‘fast fail’ approach – invest in new ways of working, learn what works, and kill what doesn’t. One of these industry events was focused on the recent developments in Dementia () , hosted by Eli Lilly in their UK offices. where he has worked with Novo Nordisk, Abbott and Eli Lilly.